iZee Facelift Masque is a skin-tightening mask with a unique blend of soothing and revitalizing botanicals. It is unlike any other skin-tightening masque in that it not only works to quickly tone, tighten and nourish your skin, but it also tones and tightens the underlying muscles, giving you long-lasting results. We all know how important it is to exercise and stay fit, but what about our facial muscles? Don’t they need a work out as well? 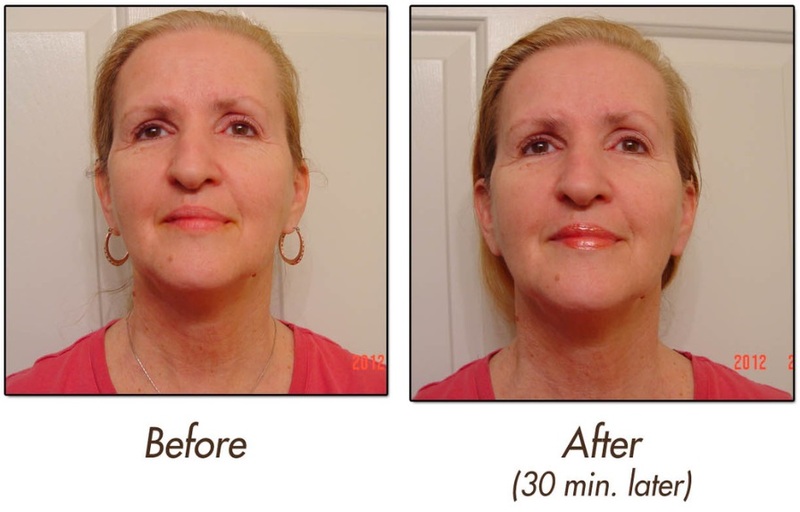 How would you like to naturally look 3-5 years younger in 30 minutes and 5 to 10 years younger in a few months without surgery or expensive skin-tightening treatments? You’d say, “That’s impossible!” But not anymore! 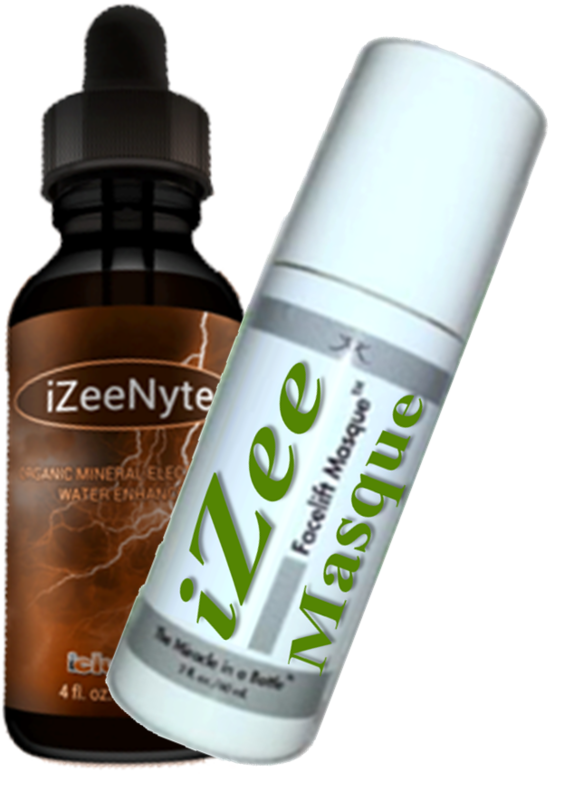 iZee Facelift Masque is truly amazing and the product works every time! 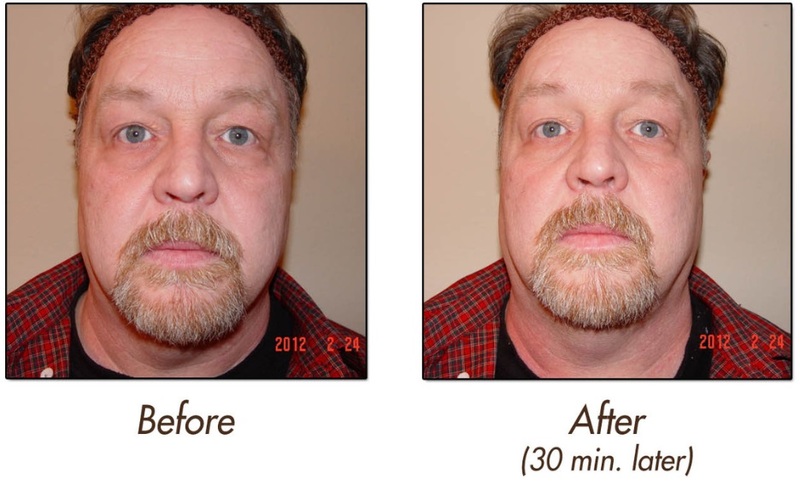 Unlike other facial products, the results with MFM are accumulative. That means the more you use it, the less you need it. A one-month supply in the beginning becomes a three month supply after 90 days. Other products can’t say that. If you skip treatments with other products, you lose the results. A one-month supply of their product is still a one-month supply a year later. Most facial products that promote skin tightening have no effect on the underlying muscles that the skin is attached to. So when your skin sags, it means your facial muscles are sagging, too. That’s a big problem for other skin care products … but not iZee Facelift Masque. This unique formula affects the muscles under the skin to tighten them as well and causes a dramatic youthful change in your appearance. Surgical facelifts and other conventional skin-tightening treatments such as lasers, radio frequencies, and light therapies require maintenance, are very expensive, and can be very painful. You’ll be interested to know that MFM is a great maintenance program for anyone who undergoes plastic surgery and/or other skin-tightening procedures. 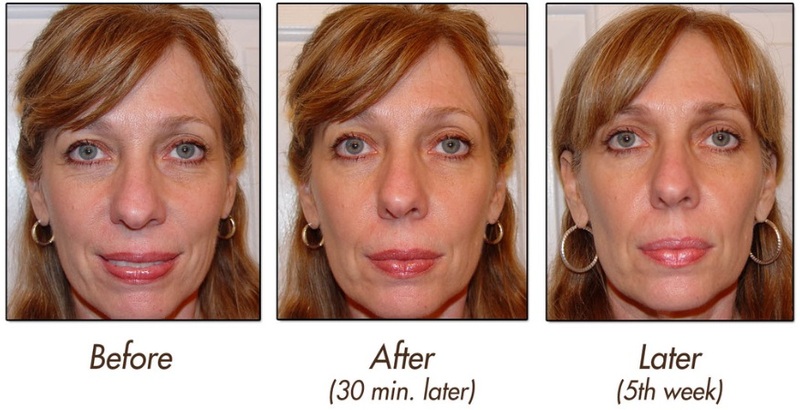 Why choose MFM over conventional skin-tightening procedures? You will see the difference after just one use! In today’s world, 70 is the new 60 and 60 is the new 50! People like Meryl Streep are redefining beauty. She graced the cover of Vogue magazine (Jan. 2012), sending a visual statement to the world that you can look naturally beautiful at age 62. MFM not only gives your face a lift, but it gives you an emotional lift each time you look in the mirror! The results are so dramatic! Will you take 30 minutes out of your busy day and just receive? What are you waiting for? Receive your iZee facelift today and be blessed! When applying MFM you will use the back of one hand like an artist’s pallet. Squeeze MFM onto back of hand. Dampen fingertips of other hand in bowl of water and stroke wet fingertips over MFM on back of hand. Use fingertips to apply MFM to neck and face. Dip fingertips in water each time before applying more MFM from off back of hand to face. Follow step-by-step instructions. Tip: Pull up on lid to use/push down on lid to store. *Prepare 2 Tbs. of water in a small bowl. For best results add 4 sprays of iZeeNyte TonerTM to the water. 1. Neck: Squeeze MFM (quarter-size) on back of hand. Start at base of neck. Stroke upward over jaw. 2. Waddles: After stroking upward on neck, then stroke from center to ear. 3. Face: Squeeze MFM (quarter-size) on back of hand. Start at center of jaw¬line. Stroke straight to temple. Apply on top of lips stroke straight to temple. 4. Cheeks and Nose: Stroke across cheek upward to temple. Stroke up¬ward on nose. 5. Forehead: Squeeze MFM (quarter-size) on back of hand. Start at brow and stroke up to hairline. Note: Avoid eye lid. 6. Eyes: Moisten ring finger in water and lightly stroke from outside corner of eye in and up across bridge of nose to hairline. * Smooth remaining iZee Facelift MasqueTM on back of hand from fingers to over wrist and receive a lift on back of your hand! * Allow face to dry (25-30) minutes. * Splash water on face, use a sponge to soften, or jump in the shower. * For best results use MFM every-other-day for the first three months; then once, or twice a week to maintain. Ingredients: Aloe Barbadensis Leaf Extract, Acacia Senegal Gum, Zea Mays Starch, Chondrus Crispus, Sodium Hyaluronate, Silk Amino Acid, Biosaccharide Gum-1, Polysorbate 80, Panax Ginseng Root Extract, Vitis Vinifera Seed Extract, Cucumis Sativus Fruit Extract, Symphytum Officinate Rhizome/Root Extract, Camellia Sinensis Leaf Extract, Sodium PCA, Panthenol, Glycerin, Glycereth 26, Trehalose, Polyquaternium-51, Titanium Doxide, Citrus Grandis Peel Oil, Citrus Aurantium Dulcis Peel Oil, Citrus Tangerina Peel Oil, Urea, Tetrasodium, EDTA, Phenoxyethanol, Ethythexylglycerin. iZeeNyte Toner combines by proprietary natural process, an Organic Electrolyte Complex with Sango Coral. Contains over 70 natural ionic minerals and trace elements in an organic poly-electrolyte complex. iZeeNyte Mineral Toner is energy enhanced. Put 4 sprays of iZeeNyte Toner into the 2 Tbs. of water used for applying iZee Facelift Masque. After washing off iZee Facelift Masque, generously mist iZeeNyte Toner onto face and neck before applying your favorite moisturizer.